Makar Sankranti (also known as Makara Sankranthi or Maghi) refers both to a specific solar day in the Hindu calendar and a Hindu festival in reference to deity Surya (sun) that is observed in January every year. It marks the first day of sun’s transit into the Makara (Capricorn), marking the end of the month with the winter solstice and the start of longer days. Makar Sankranti is one of the few ancient Hindu festivals that has been observed according to solar cycles, while most festivals are set by the lunar cycle. Being a festival that celebrates the solar cycle, it almost always falls on the same Gregorian date every year (January 14), except in rare years when the date shifts by a day for that year, because of the complexity of earth-sun relative movement. 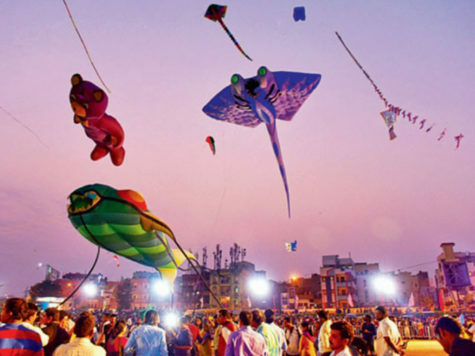 Makar Sankranti is observed with social festivities such as colorful decorations, rural children going house to house, singing and asking for treats (or pocket money), fairs, dances, kite flying, bonfires and feasts. The Magha Mela is mentioned in the Hindu epic, the Mahabharata, thus placing this festival to be around 2,000 years old. Makar Sankranti is regarded as important for spiritual practices and many people take a holy dip in sacred rivers or lakes, especially Ganga, Yamuna, Godavari, Krishna and Cauvery. The bathing is believed to result in merit or absolution of past sins. Every twelve years, the Hindus observe Makar Sankranti with one of the world’s largest mass pilgrimage, with an estimated 40 to 100 million people attending the event. At this event, they say a prayer to the sun and bathe at the Prayaga confluence of the River Ganga and River Yamuna at the Kumbh Mela. Because the festival is dedicated to the Hindu sun god, Surya, people also pray to the sun and thank for their successes and prosperity. 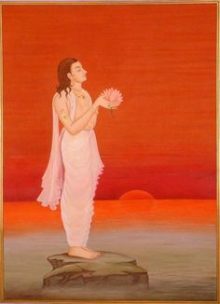 The traditional prayer to the sun is the Gayatri Mantra. Chanting the mantra serves three purposes. The first is to give back to the sun. The sun gives but never receives. 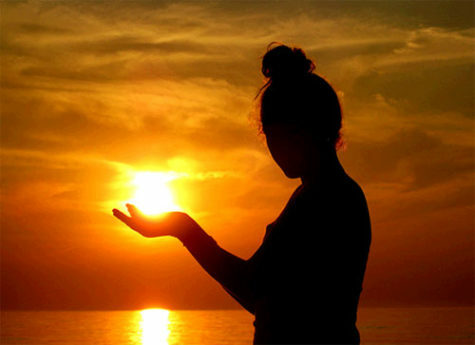 The mantra is a gift back to the sun, an offering of gratitude to refuel the sun’s gracious offering. Finally, the mantra is an expression of gratitude, to both the life-giving sun and the Divine. The sensibility it evokes is more important than the literal meaning. It’s an offering, a way to open to grace, to inspire oneself to connect to the ancient vision of India. Makar Sankranti is regarded as the beginning of an auspicious phase or the holy phase of transition. 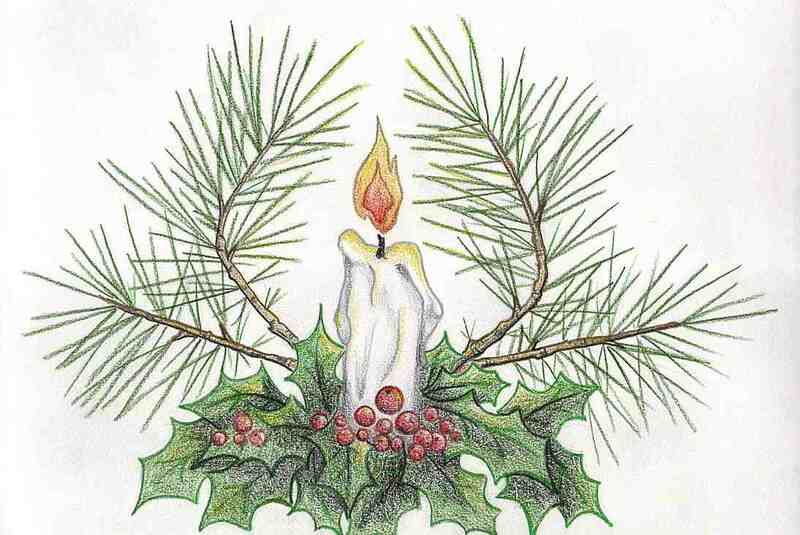 It also marks the end of an inauspicious phase which begins around mid-December. Further it is also believed that any sacred ritual can be performed from this day onwards. The auspicious day of Makar Sankranti marks the beginning of warmer and longer days as compared to nights. Makar Sankranti is all about forgetting bitter and sad moments which happened in the past and welcoming the new phase of life which is full of purity, knowledge and wisdom. The significance of the Makar Sankranti festival is that it marks the day where there is a significant movement in the zodiac ~ the arrangement of the earth’s dial around the sun ~ and this movement brings about a new change in the way we experience the planet itself. 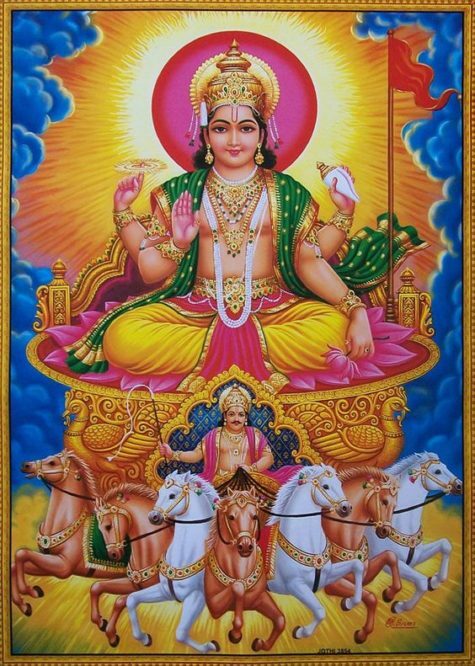 There are many sankrantis through the year; the two significant ones being Makar Sankranti, and right opposite, after summer solstice is Karka Sankranti. 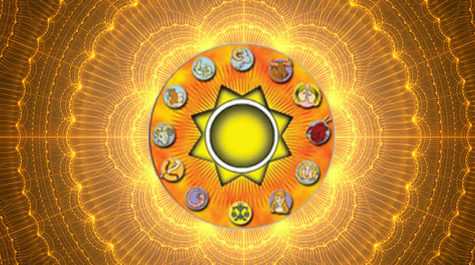 In between, there are many Sankrantis ~ every time the zodiac sign changes, it is called a Sankranti to suggest the movement of the planet, to understand that our life is sustained and nourished by this movement. If this movement ceases, everything about us will cease. On the 22nd of December, the solstice happened, that means in relation to the sun, the movement or the tilt of the planet reaches its maximum. Now, from this day on, the northern movement is strong. Things really start changing upon the earth. From Makar Sankranti onwards, winter is being relieved step by step. This movement is also a significant aspect in the way we reap from this planet. There was a time when human beings could eat only what the earth offered. Then we learned how to get what we wanted from the earth; this is called agriculture. When we were hunting and gathering, we only picked up what was there. It is like when you were an infant, you ate or swallowed whatever your mother gave you. When you became a child, you asked for what you wanted. So we grew up a bit and started demanding and getting what we wanted, but still, you can only get what you want to a point that She is willing. If you stretch it beyond that, you will not only not get it, you will get something else. That is called industrialization. Agriculture is coaxing the Mother to give what you want. Industrialization is ripping her apart. I am not speaking against something. I want you to understand the way our minds are transiting, the way human activity is transiting from one level to another. So this is a day when we remind ourselves that everything that we are is what we take from this planet. I see everywhere in the world, people are talking about giving. I don’t know from where they give. You can only take ~ either you take gently or you grab. Did you come with your own property from somewhere? What is there to give? You can only take. Everything is offered. Take sensibly, that is all there is. Makar Sankranti is celebrated as a very important festival in India. Sankranti literally means “movement.” Everything that we recognize as life is movement. Fortunately, people who came before us have moved on, and people who come after us are waiting for us to move on ~ don’t have any doubts about this. The planet is moving and that is why it churns up life. If it were still, it wouldn’t be capable of life. So there is something called movement in which every creature is involved, but if there has to be movement, this movement has to be housed ~ this movement can only happen in the lap of stillness. One who does not touch the stillness of his life, one who does not touch the stillness of his being, one who does not know or has not tasted the stillness within and without, will invariably get lost in the movement. Movement is pleasant only to a point. The planet earth is moving gently in such a beautiful manner ~ it is only changing seasons. Tomorrow, if it just speeds up, throttles up a little bit, then all our seemingly balanced minds will become imbalanced, everything will spin out of control. So movement is beautiful only to a certain point. Once it crosses that point, movement becomes torture. So Makar Sankranti is a festival to recognize the movement, movement being celebration, movement being life, movement being the process of life and the beginning and the end of life. At the same time, the word ‘shankara’ is used to remind you that the one behind this, Shiva, is a still one; stillness is the basis of movement. 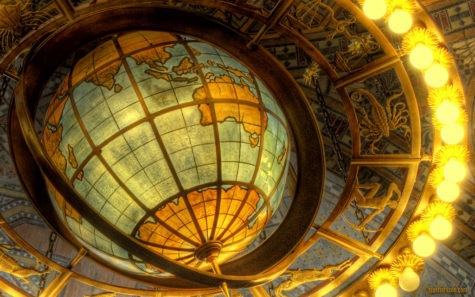 Though all the other planets are moving, the most important one is not moving. If the sun also takes a walk, then we are in trouble. He hangs there not moving. That is why everybody else’s movement is okay. But his stillness is relative because the whole solar system may be moving; the whole galaxy may be moving. So beyond that, the space which holds all this is absolute stillness. When a human being makes the necessary effort to touch the stillness within himself, only then he knows the joy of movement. Otherwise, people are bewildered by the movement of life. Every change that happens in their life they suffer. These days, the so-called modern life is like this ~ any change means you must suffer. Childhood is tension, puberty is great suffering, middle age is unbearable, old age is abhorred and feared, and death is celebration ~no that is pure terror. Every stage of life is a problem because people have a problem with movement, not understanding that the very nature of life is movement. You can only enjoy and celebrate movement if you have one leg stuck in stillness. If you know what stillness is then movement would be a pleasure. If you do not know what stillness is, if you have no contact with stillness, movement is bewildering. People are trying to track the movement. Looking at the stars, looking at lines in their hands and looking at all kinds of signs including the tea leaves. People want to read the movement of their lives somehow. This struggle with movement, this paranoia about movement, is happening because there is no taste of stillness. If there was a taste of stillness in you, movement would not disturb you. It is something which sets a certain rhythm. Every rhythm has a beginning and an end; every movement has a beginning and an end. Movement means that which is in transition. Stillness means that which always is. Movement means compulsiveness, stillness means consciousness. The significance of Makar Sankranti is that it is the time to remind yourself that celebrating movement is possible only when there is a taste of stillness within you. Because the festival is celebrated in winter, people start preparing food which can give them give them energy and also keep their body warm. Tilguls ~ Laddu of Til (Sesame) is made up of Jaggery and devotees also pay respect to Goddess Saraswati. This type of sweet is a symbolism for being together in peace and joyfulness, despite the uniqueness and differences between individuals. People greet each other Happy Sankranti by saying Tilgul Ghya Aani God God Bola. For most parts of India, this period is a part of early stages of the Rabi crop and agricultural cycle, where crops have been sown and the hard work in the fields is mostly over. The time thus signifies a period of socializing and families enjoying each other’s company, taking care of the cattle, and celebrating around bonfires. The Makar Sankranti festival is also known and referred to as the harvest festival because this is the time when harvesting is complete and there are big celebrations. This is the day we acknowledge all those who assisted in making the harvest. The farm animals play a huge role in harvesting, so the following day is for them and is called Mattu Pongal. The first day is for the earth, the second is for us and the third is for the animals and livestock. See, they are placed a little higher than us because we exist because of them, they do not exist because of us. If we were not here, they would all be free and happy. But if they were not here, we couldn’t live. These festivals are a reminder that we need to craft our present and our future in a conscious manner. Also, on this day there are several Melas or fairs which are been held and one of the most famous among all melas is Kumbh Mela. 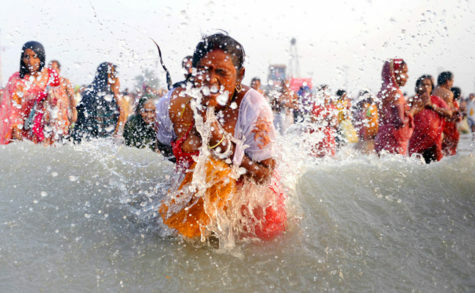 It is been held every 12 years at one of four holy locations namely Haridwar, Prayag, Ujjain and Nashik. The Magh Mela which is the mini mela is held annually at Prayag, the Gangasagar Mela held at the Ganges River, Tusu Mela in parts of Jharkhand and West Bengal and many more such fairs are been held on this auspicious day. Known by different names and celebrated with different customs in different parts of the region, Makara or Makar Sankranti is an important pan-Indian solar festival observed on the same date, sometimes for multiple dates. It is known as Pongal in Tamil Nadu, Pedda Panduga in Andhra Pradesh, Biku in Assam, Magha Mela in parts of central and north India, as Makar Sankranti in the west, and by other names. 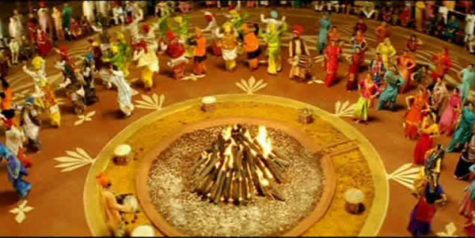 The festivities associated with Makar Sankranti are known by various names such as Lohri by north Indian Hindus and Sikhs, Sukarat in central India, Bhogali Bihu by Assamese Hindus, and Pongal by Tamil and other south Indian Hindus. In other countries too the day is celebrated by Hindus, but under different names and in different ways.